I’ve been lucky and was able to buy 27 used, untested ZM1550’s. So I’ve made a test setup to get them all sorted out as fast as possible once they arrive. 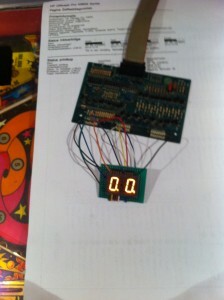 This is just a little test print on which I soldered three 5 pin connectors and one 4 pin connector and then connect all the segments of both digits together (a with a, b with b, etc.). 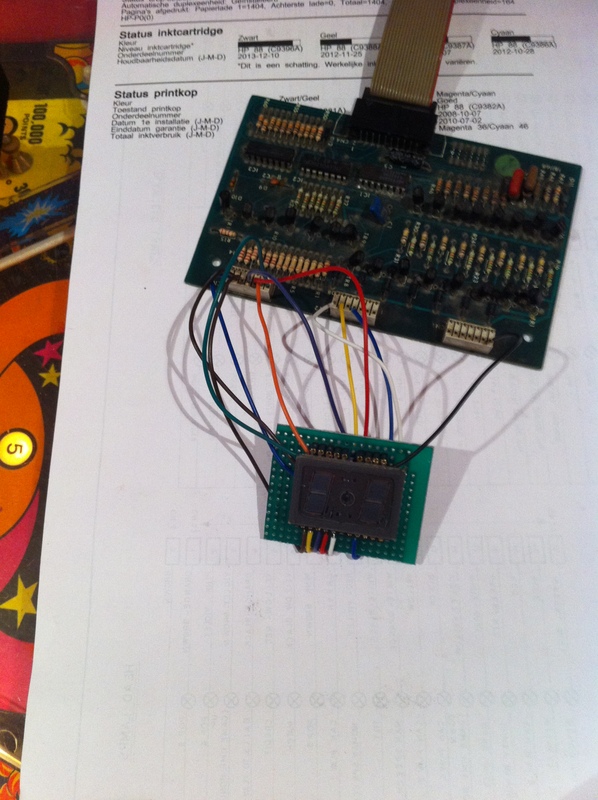 Then I soldered some wires to connect them to the CN3 connector on the pinball display driver. The shield is connected to pin 1 of CN1 and the decimal points and both anodes are connected to the appropriate pins on CN2 in the same way. 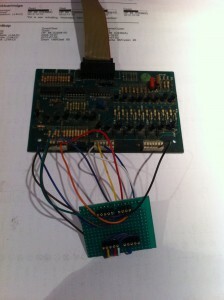 Fortunately, the first ZM1550 module I put in worked, so I know the setup was good. Nice job! I am also looking for some ZM1550 displays. Can you point me to a source? I bought mine on ebay. They are all part of an old Gen 1 Zaccaria pinball machine that got stripped for parts. Maybe you should look for an old Gen 1 wreck and buy it for the displays. I also have an address of someone who has some NOS ZM1550’s if you’re interested.